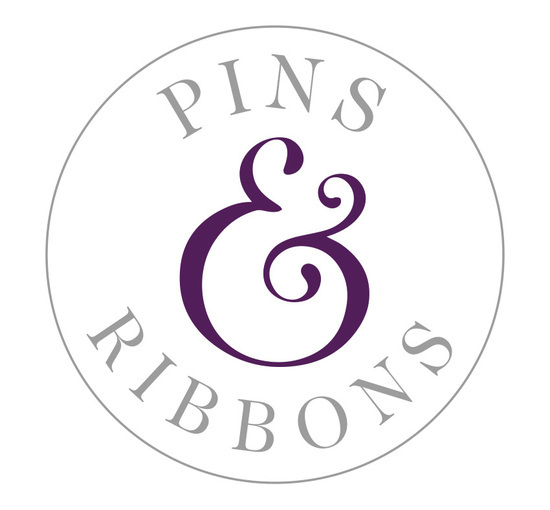 Welcome to Pins and Ribbons – the award-winning, eco-friendly, home accessories company, which helps you to put the heart into your home. If you love things which are gorgeous and handy, you’ve come to the right place. Now celebrating our 10th Birthday, Pins & Ribbons has recenty added its first collection of fabrics to it's extensive product range, with 10 % off all profits being donated to Dogs Trust and a local Greyhound charity. Each of our items is lovingly handmade in our workstudio in the North East of England , using only UK manufactured raw materials and fabrics and you’ll also be delighted to discover that all of our beautiful home accessories are great value for money. Our eco-friendly approach also means that we recycle everything from packaging to scrap materials. That way you can have what you want, without costing the earth! So why not delve into our treasure trove of goodies and add the perfect starting, or finishing, touch to your home. If we have your items in stock we will dispatch them within seven days of receiving payment. However, as some of our products are handmade please allow up to 14 days for delivery. Delivery will be made by either Royal Mail or our courier service. If your goods arrive damaged or faulty you must not accept or sign for them and inform the courier of this fact, they will then be returned to us and we will make the necessary enquires with the courier as to the reason for this. Our courier will deliver the goods to the address stated at the time of order.If you provide us with a telephone number at the time of order we will put this on the address label for the courier to contact you should they find you out at the time of delivery. If there is no one available to accept delivery a call card will be left and it will be your responsibility to contact the courier to arrange redelivery, if this is not done within 7 days the goods will be returned to us and you will incur a further delivery charge if redispatched. We will inform you as soon as possible if goods you have ordered are not available. We will offer alternative options or refund payment in full.